Tow Truck Insurance Arlington Tx – Super Low Rates – Call Now! If competitive rates on Tow Truck Insurance in Arlington and the nearby areas are what you seek you have come to the right place! Give us a call at 800-998-0662 Monday – Friday 9:00 AM to 5:30 PM to talk to one of our courteous agents today. Alternatively, you can send us your information online 24/7 by clicking on Arlington Texas Tow Truck Insurance. At Pathway Insurance we offer competitive rates on Tow Truck Insurance in Arlington, San Antonio, Dallas, Austin, Houston, and all over the State of Texas. Tow Truck Insurance Arlington Texas – Know Your Coverage Part 4. In our last three articles we’ve been discussing the importance of understanding your Texas Tow Truck Insurance policy, and as we’ve said each time, the best way to understand your policy is to read it carefully. Why don’t we return one last time to our claim scenario for the final illustration of the importance of understanding what your policy covers and more importantly what it doesn’t cover. 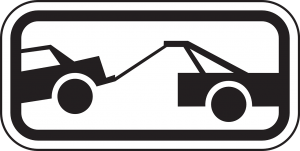 Tow Truck Insurance Texas – Coverage Scenario Concluded. Jethro and Linda have been through an auto accident on their way home from a boating trip. You’ll remember that they had just purchased a new boat but did not want to use their personal vehicles to pull their new watercraft. Instead, Jethro decided to use one of his tow trucks that he owns for his towing business. You may recall that his claim was denied. Jethro was upset about this because prior to leaving for his trip he had called and spoken with his insurance agent’s secretary who had assured him that his On-Hook coverage would cover him when towing watercraft. Why did the secretary tell him he was covered when he clearly was not? Jethro was still able to get the claim covered under his boat insurance policy, but he had to fork over $5,000 for his deductible. 2. Always provide as much information to your insurance provider as possible. Tow Truck Insurance Arlington Tx – Call Today! You can avoid situations like this with a proper understanding of your coverage when shopping for Tow Truck Insurance in Arlington Texas and the surrounding areas. Why not speak with the agents at Pathway Insurance to discuss your business insurance needs? Call us at 800-998-0662 to speak with one of our agents, or click on Tow Truck Insurance in Arlington Texas 24/7 to submit your request for quotes and information.